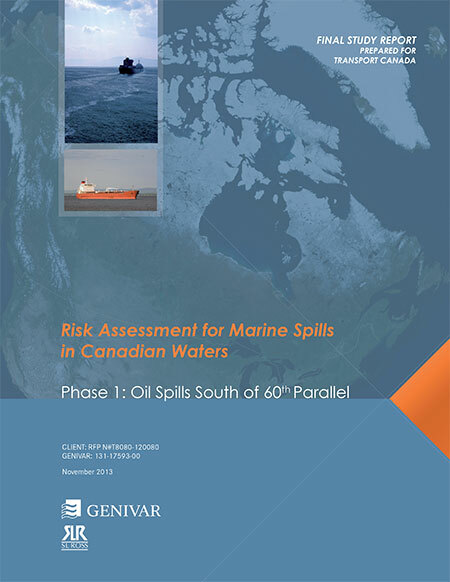 The Genivar report for Transport Canada on oil spills say that some persistent effects can last for more than 40 years, based on a study of a spill in Cape Cod, Massachusetts. The report notes that persistent sub-surface oil is still a problem at Prince William Sound, site of the Exxon Valdez disaster in 1989. It appears that in the case of an oil-spill, time may heal some wounds, but not all of them, at least if time is considered within human lifetimes and the lifetimes of other species. In the case of the Exxon Valdez oil spill in Prince William Sound… in 1989, the persistence of sub-surface oil in sediments and its chronic exposure continues to affect some of the wildlife through delayed population reductions, indirect effects and trophic interactions 20 years beyond the acute phase of the spill. Four decades after the oil spill In Wild Harbor (USA), Spartina alterniflora beds had a reduced stem density and biomass and mussels in oiled locations showed decreased growth and filtration rates. According to a Boston Globe story, published at the time of the Deepwater Horizon oil leak in the Gulf of Mexico, in 2010, the Wild Harbor, an oil barge ran aground near Cape Cod in September, 1969, spilling 200,000 gallons of fuel, some of which is still there. Today, Wild Harbor looks much like any other Cape Cod marsh, but the oil below the surface affects its resiliency. Fiddler crabs normally burrow deep down, funneling oxygen to the roots of marsh grass. Here, they stop digging when they reach the oil, turn sideways, and burrow back to the surface. They also act “drunk’’ from the oil they ingest, and predators can catch them more easily, research shows. The Woods Hole Oceanographic Institute has been studying the Wild Harbor spill for the past 40 years. At the time of the 1969 spill, lobsters, clams, and fish died by the thousands, but most people believed the harm would be temporary, reflecting the conventional wisdom of the time. Barge owners and oil industry experts even told residents that most of the oil would evaporate and any damage would only be short-lived. However, researchers at WHOI were not so sure and immediately began cataloging species and tracking where the oil was and kept at it for years. The researchers understood that the immediate, short term effects of oil pollution were already obvious and fairly well-understood, but that everyone was rather ignorant about the long-term and low-level effects of an oil spill…. Beginning three to five years after the spill, marsh grasses and marsh animals were again occupying most of the oiled area. An observer unfamiliar with Wild Harbor would not have been able to visually detect the oiled areas after just 10 years, and by the second decade after the spill, the marsh’s appearance had returned to normal. However, the WHOI researchers pointed out that for more than a decade after the spill, an oil sheen still appeared on the surface of the water when mud from the most heavily oiled parts of the marsh was disturbed…. In 2007, WHOI researchers documented that a substantial amount of moderately degraded petroleum still remained within the sediment and along eroding creek banks of the marsh oiled in 1969. They also demonstrated that the ribbed mussels that inhabit the oiled salt marsh, and are exposed to the oil, exhibited slower growth rates, shorter mean shell lengths, lower condition indices, and decreased filtration rates even when placed in a healthy marsh. Researchers have also documented detrimental effects of the 1969 oil spill on the salt marsh plants themselves. Nearshore demersal [bottom-dwelling] fish can also suffer from long-term chronic exposure, as indicated in masked greenlings and crescent gunnels by biomarkers on hydrocarbons 10 years after the Exxon Valdez spill. Mortality in sea ducks and sea turtles due to chronic exposure was also reported many years after the spill and other results indicate that effects on cetacean populations can last beyond 20 years after the acute exposure phase. As for the recovery of the economy after a spill, Genivar notes it is based “on the time required for effected industries to be fully restored to pre-spill conditions. As reviewed by Genivar, negative perceptions associated with the quality of fishery products, even for fisheries that have not been contaminated and also for regions not directly affected by the spill, can be far more important than the direct economic losses. This also holds true for the tourism sector and all other related spinoff sectors.